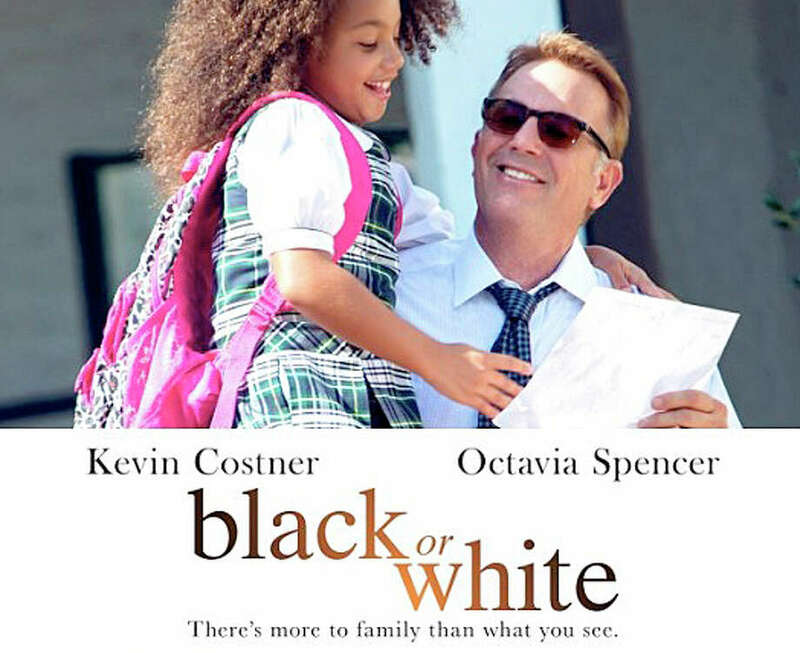 Kevin Costner stars in the new movie, "Black or White," about a grandparents' custody battle over a bi-racial girl. New Canaan News film critic Susan Granger reviews the new movie, "Black or White:"
Writer/director Mike Binder delves into his own family history for this timely dramedy, starring Kevin Costner as a grieving widower who must fight to retain custody of the beloved bi-racial granddaughter. Still stunned over the death of his wife Carol (Jennifer Ehle) in an automobile accident, Scotch-swilling attorney Elliot Anderson (Costner) is, nevertheless, determined to continue to raise 7-year-old Eloise (Jillian Estell) in Brentwood, the affluent Los Angeles suburb where she's lived all her life. Eloise's mother (Elliot's 17-year-old daughter) died in childbirth. And Eloise's biological father, Reggie (Andre Holland), is a crack-smoking, drug-addicted ex-con with a long rap sheet; he's never taken any interest in Eloise's life. Suddenly, Eloise's paternal grandmother Rowena -- a.k.a. Grandma Wee Wee (Octavia Spencer) -- demands to be her guardian, seeking to move Eloise to be near her extended family in working-class Compton. At irrepressible Rowena's side as they head into the courtroom is her slick lawyer brother, Jeremiah (Anthony Mackie). Filmmaker Mike Binder plays the "race card" with perceptive clarity and moralistic compassion, throwing in strong supporting characters, like Eloise's African-immigrant math tutor (Mpho Koaho) and a perceptive family court judge (Paula Newsome). Returning to work with Binder, who directed him in "The Upside of Anger" (2005), Kevin Costner is wearily convincing, as is outspoken Octavia Spencer ("The Help"). Their conflicted characters are intricately drawn and detailed, while precociously observant Jillian Estell is the center of the custodial conflict. On the Granger Movie Gauge of 1 to 10, "Black or White" is a subtle 6, serving as yet another reminder of how much racial bigotry matters.